Come by Island Mazda near the Union, NJ area if you’re looking for a luxury car like the 2018 Mazda3 Grand Touring. Exhilaration has always run in the Mazda3 family. And the 2018 Mazda3 continues this legacy. 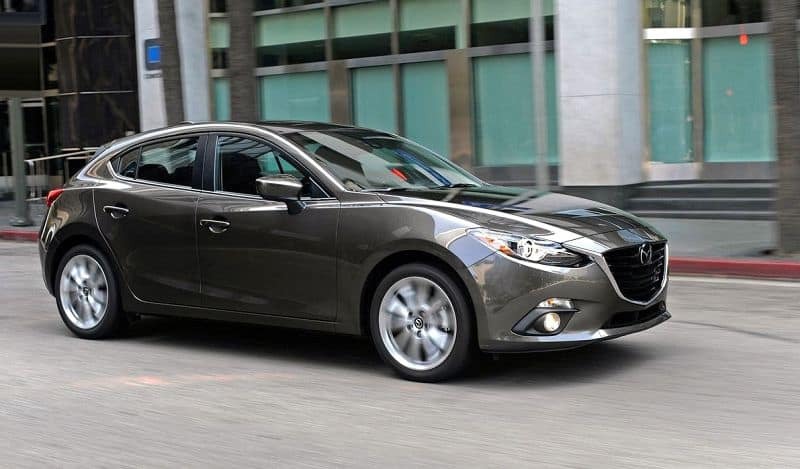 The Mazda3’s already excellent performance and handling amplifies the exhilaration with a precisely tuned 4-wheel independent suspension system. Plus, it comes with your choice of manual or automatic transmissions powered by spirited 2.0-liter or 2.5-liter SKYACTIV-G gasoline engines, with the 2.5-liter offering 184 horsepower and 185 lb-ft of torque. To instill the joy of driving into every Mazda, we engineer with a human-centric development philosophy. It’s how we created SKYACTIV-VEHICLE DYNAMICS with G-Vectoring Control. Mazda’s newest technology, SKYACTIV-VEHICLE DYNAMICS with G-Vectoring Control, helps you steer more precisely by optimizing load control. Just like an athlete refines his form to hit the ball further with less force, our technology strives for the same efficiency. Instead of strengthening the vehicle’s muscles, we improved how it delivers force so it can unleash its full potential. It works smarter, not harder, to make you feel connected and in control. Instead of focusing on the mechanics of vehicle dynamics, we started our development with people. Running countless studies on their characteristics and behaviors to design a vehicle that works harmoniously with the driver. The result? A car that feels like an extension of your body, with more precise steering, better control and less fatigue. With an active approach to safety, i-ACTIVSENSE uses milliwave radars and cameras to keep you in tune with your surroundings. While keeping you focused on the road. Get maximum confidence and enjoyment out of your drive knowing these available systems are constantly working to alert you to potential hazards, avert collisions, or reduce their severity when one is unavoidable. It’s another example of our Jinba Ittai philosophy of creating oneness between car and driver. The 2018 Mazda3 Grand Touring’s Active Safety Technology helps the driver prevent accidents by supporting his or her ability to predict and avoid hazards through visual and auditory alerts. These technologies help protect occupants and reduce damage in the event of a collision. They include the rigid SKYACTIV-Body with ring structure, seatbelt with pretensioner and load limiter, anti-intrusion brake pedal, SRS Airbag Systems, and more. While sophistication is felt throughout the cabin, we gave special attention to the most important seat—the drivers. By positioning the shifter and console slightly higher than in the previous-generation CX-9, the driver is enveloped in comfort while experiencing a greater sense of connection and control. Mazda’s KODO: “Soul of Motion” design philosophy conveys a sense of strength and energy manifested in the CX-9’s athletic stance, elongated hood and tapered roof line. The overall effect is a combination of composed power and instantaneous movement, resulting in a truly striking three-row SUV. Even with its sleek low roof line, the CX-9 still offers more volume and more second- and third-row legroom than the Acura MDX or Toyota Highlander. Accessing the third row is simple, making it easy for kids to climb in—all without needing to remove an installed child seat. From reducing the gaps between the segments of the characters on the display panels to outfitting the cabin with available genuine materials like Nappa leather and Rosewood, every detail in the CX-9 was considered in order to deliver a premium driving experience. Contact Island Mazda today to start your 2018 Mazda3 Grand Touring experience near the Union, NJ area.